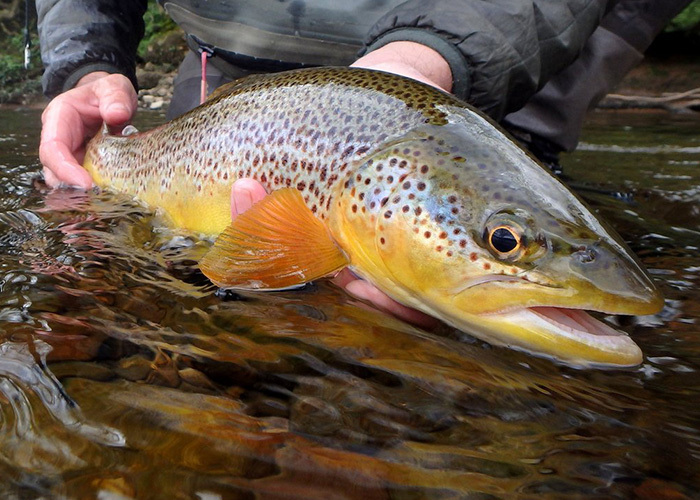 For many, mid March heralds the start of the brown trout season on rivers and streams. Given our current weather trends, it looks as though opening day is set to be a chilly one. Even for those whose season is delayed until April, it’s not unusual to experience icy weather well into spring. Understandably, many will be keen to open their innings using a dry fly and despite the Arctic blast there’s every likelihood of this. Large dark olives will grace the bleakest of spring days. You see, Large dark olives have a reputation of being a foul weather fly that like nothing more than to emerge in what many consider hostile conditions. Such seemingly odd behaviour is driven by their overwhelming desire to survive! Sunny spring days might be full of promise, but bright conditions illuminate newly emerged flies, making them more obvious to predators of all kinds. However, murky weather helps obscure flies to mask their presence and even when snow fills the air, we can expect flurries of hardy spring olives. 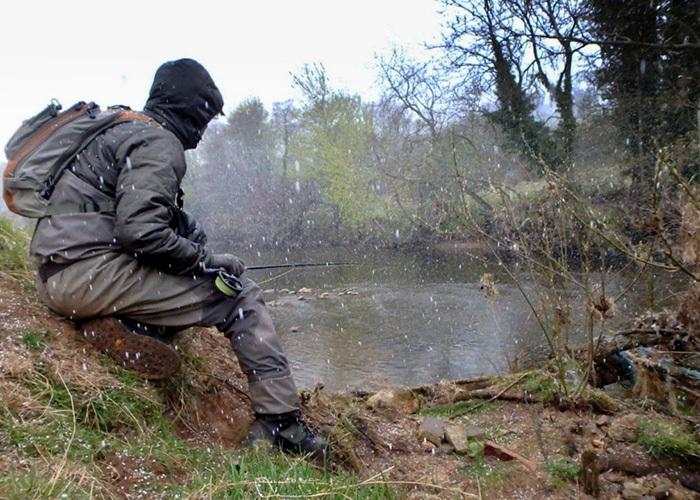 Even during snow flurries, dry fly fishing can be on the cards. Furthermore, any chill can keep duns glued to the surface that bit longer, as they wait for their wings to hardened before taking that all important maiden flight. Naturally, trout are quick to cotton and will happily rise to hapless duns, especially when temperatures struggle. Of course, cold conditions automatically see us reach for the nymph box, but as you can see this needn’t be the case. Admittedly, seldom will the surface activity last for long, so it’s a well to be prepared. On raw spring days the hatch might stretch to an hour if you’re lucky. A more likely scenario is a half hour window of action. It’s wise them to set your stall out. Whilst having two rods made up might sound extravagant such foresight covers you in the advent of any nasty line tangles. Believe it or not, on some occasions fly will hatch for a mere ten minutes when unpicking a snarled leader costs you precious time. Far better is to pop the tangled outfit down and pick up the spare rod! 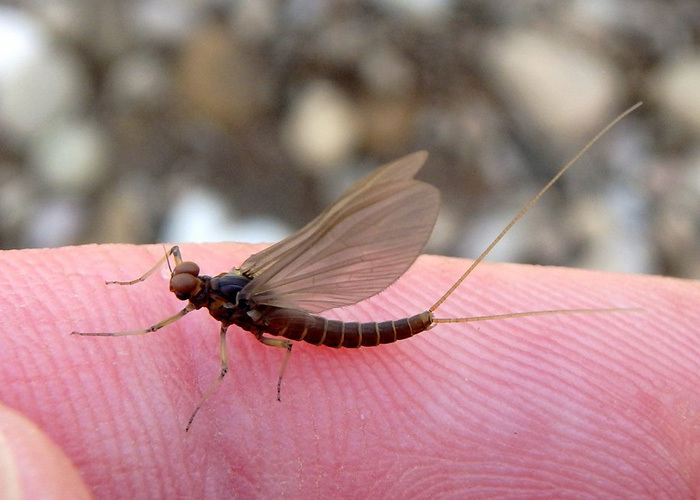 A simple CdC pattern with tying silk as tail fibres will serve you well during olive hatches. 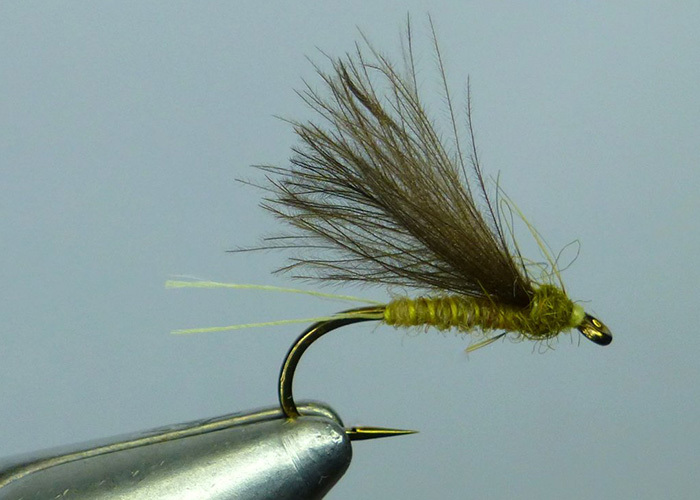 Flies needn’t be elaborate affairs when something like a simple CdC pattern will earn its keep! This is best presented on as long a leader as you can manage in the prevailing conditions. I’m happiest using a leader in the realms of 16ft or so, but bear in mind this will be reduced to 12ft where gusty weather occurs. With patience then and a dollop of luck, you might just get off the mark using a floating imitation, which makes those opening celebrations all the sweeter. With luck, your dry fly efforts will be rewarded with early season trout in spanking conditions. This entry was posted in UKNews and tagged Fly Fishing on March 9, 2018 by Aaron Blank.